Thank you for choosing Upper Cervical Health Centers in Maryville, Illinois as your source for safe, natural and effective health care. We are proud to bring you state-of-the-art techvniques and procedures backed by the latest research and development. Whether you are seeking care for a specific condition or you are taking advantage of the wonderful preventative benefits of upper cervical care, we are certain you won't be disappointed! Get your life back today! As experts on the Maryville Upper Cervical Spine care, our doctors focus on the intimate relationship between the top two bones in the neck, called the upper cervical spine, and, more importantly, a vital portion of the nervous system called the brain stem. This relationship is absolutely essential to the body’s ability to restore and preserve health. In order to grasp the upper cervical concept, you must first understand how the body is created and, more importantly, how it is designed to function normally and remain healthy. 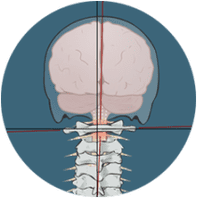 Upper Cervical Care Maryville is personalized and you will see, on your first visit, that our process is tailored specifically to fit your individual needs. Holding is healing. That's what upper cervical is about. The longer the two bones stay in alignment, the fewer office visits are needed. 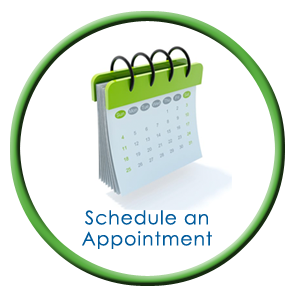 Once we meet with you and discuss your health history, your doctor will then discuss your visit expectations and how we can best match those with our services. Our mission at Upper Cervical Care Maryville is to serve families in our community seeking health outside of taking harmful medications and undergoing unnecessary surgeries by offering help, hope and love through specific upper cervical chiropractic care. We will provide the highest quality care through the understanding that every patient will be treated like family. 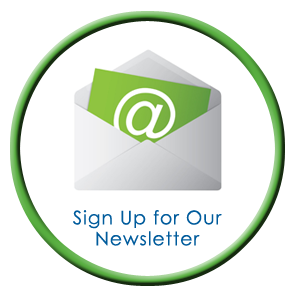 We seek to be the leaders in our community for health and chiropractic care. If the first two bones in your neck are misaligned, communication between the brain and body is interrupted and can cause numerous health problems. Who Can Benefit From Blair Chiropractic Technique? Anybody who wants their own body to operate effectively ought to be assessed. Treatment is only going to be provided to people that are found to have a quantifiable demand for care. Although Blair upper cervical chiropractic frequently end up seeing patients having rather considerable pain, the evaluation that happens allows the chiropractic doctors to discover and treat the misalignment long before symptoms are present. 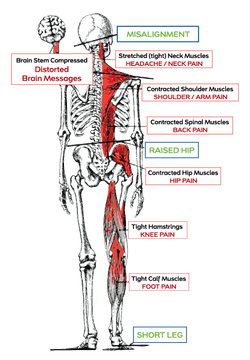 The postural rebalancing produced by the Blair upper cervical chiropractic adjustment allows for the body to get less pressure and so the individual can direct that unused energy to self-healing, and maintenance. Can Children Benefit From Blair Chiropractic Technique? Yes, we believe all children should have the benefit of a properly balanced body. Children can be corrected using the Blair Chiropractic Technique procedure right from birth. Often children don't need the complete Blair Chiropractic Technique evaluation as their many straightforward reflexes which may be assessed, allowing for a modified exam. Because of the tendency for a child's misalignment to have been present for a relatively brief time period that the misalignment is typically less complicated. Kids also generally respond more quickly to alterations and generally require fewer adjustments to achieve spinal stability. What Makes Blair Chiropractic Technique Spinal Adjustment Unique? Generally the approach to the care of the spine is in two unique ways. Nearly all practitioners try to influence the backbone in regions of segmental or neighborhood fixations to boost mobility and hope for enhanced structural stability. Blair Chiropractic, (in addition to other chiropractic techniques), approach the spine with the capability to enhance structural and sustained postural equilibrium that leads to enhanced spinal stability together with balanced mobility. The advantage of Blair Chiropractic care is that long term spinal balance is maintained and that creates improved general wellness and well-being. All spinal professionals agree that spinal care is vital. 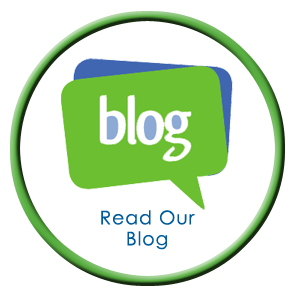 The approaches differ from localized segmental care of several providers to the Blair Chiropractic professionals offering upper cervical care that affects the entire body balance and the long term spinal stability. How can I tell if I need a Blair Chiropractic adjustment? Be evaluated by a Blair Chiropractic trained chiropractor so that it could be determined whether or not an adjustment is indicated. By paying attention to your body, you might be sensitive to whether you're in alignment. Even though some rely upon the return of the symptoms to inform them when they have lost their orientation, we urge patients to look closely at their reflection in the mirror; paying attention to head tilt or a minimal shoulder for example. Other cues could include where they feel their weight distributed on their toes, or if a change in gait is observed. More subtle indications might even include having to correct your vehicle rearview and side mirrors. Even with all these clues, it's still advised that periodic chiropractic assessments be performed to confirm proper equilibrium. My neck feels ok, but my lower back is sore. When the posture is adjusted, the whole body rebalances causing less stress to all regions including your lower back. Your postural muscles are continuously working to keep an upright posture. Postural distortion leads to uneven weight distribution over all your joint surfaces. The muscles across your neck, back, legs and arms will compensate for this change in weight. Pain is going to show up in the region of greatest breakdown. 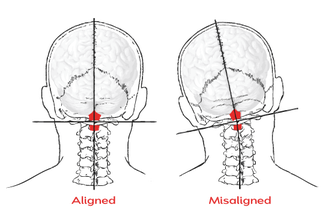 The decrease in postural distortion given by the Blair chiropractic procedure decreases the strain on every area of the body and enables the potential relief of pain and appropriate healing. What to expect after adjustment? Blair chiropractic has been proven to be quite helpful in reducing postural distortions. Whether a individual's postural distortion is related to symptoms they're exhibiting can only be set by improving the position and detecting changes. Individual feels no substantial change. Individual feels a change in symptoms with instant improvement. Individual experiences new short-term symptoms related to working in a new structural position. Responses to the adjustment differ from nothing, to muscle soreness, and from exhaustion to a sense of euphoria. Because of these individualized responses, all patients are given a list of items they may encounter so they are familiar with what answers are normal to expect. Due to the substantial postural rebalancing that happens with the upper cervical adjustment people will often feel stiff and sore for 2-4 days as the body adjusts to its new position. This discomfort is usually associated only with the initial and/or second adjustment. How can such light pressure make such big difference? For exactly the same reason why one can move a pile of thick bricks with a light push of a wheelbarrow: leverage. Even though the patient feels just a small pressure behind their ear while being corrected, there's sufficient force being placed into the neck. Together with the first vertebra and the weight of the scull to obtain a biomechanics advantage, the physician places their body on a calculated angle to be sure the adjustment is unique to the patient’s individual misalignment. The force produced by the physician is transferred to the individual in such a gentle and precise fashion that many patients are unaware of any intervention at all. Do I get an adjustment every visit? You're only adjusted when the objective findings indicate you're subluxate (i.e. postural distortions, a contracted/shortened leg). How many times you get corrected is directly linked to your body's ability to keep your alignment. You'll be provided recommendations during your period of maintenance in the office that's intentioned to assist you reach and maintain an aligned state. Our purpose is to correct you as few times as possible, however quarterly to semi-annual assessments are often suggested to guarantee that any progress is not lost on the way. What can cause me to lose my alignment? Thoughts, traumas, and toxins are stressors that can result in a misaligned state. After your first adjustment in our office you'll be provided recommendations regarding daily activities to help maintain alignment. The 3 T's (thoughts, traumas and toxins) are all contributors to losing or maintaining alignment. Thoughts include negativity or anxiety Ð think about the tightness in your shoulders after a long day on the job. Have you ever wondered exactly what those muscles are connected to? Traumas are a more obvious cause, however doesn't necessarily need to be an automobile accident or fall. Daily repetitive postures or movements can be considered an ongoing traumatic event. Toxins can be dietary or environmental and may also play a role in maintaining or losing alignment due to the strain they place on your body's systems. How long until I am better? Healing is individual and there are many contributing factors. The more personal responsibility the individual assumes in this procedure, generally the greater the outcomes. The healing process takes time. In the event that you should break an arm, then the medical doctor would cast it and you would be instructed to keep it in the cast for about six to eight weeks. That's because this is the normal recovery time for bone. When coping with spinal misalignment, the integrity of the musculature and ligaments has been compromised and you need to allow sufficient time for these structures to cure in the aligned position. The longer your backbone has been out of alignment, the more potential harm has occurred and therefore the longer required recovery time. To the stress they put on your body's systems. If you see a chiropractor once then you have to continue the treatment for the rest of your life? No, nevertheless often people who undergo chiropractic recognize the health benefits and choose a lifestyle which includes lifelong chiropractic care. There's a misconception that once one starts to see a chiropractor, they have to see one for the rest of their life. An opportunity for this perception could be due to how the recovery process requires time and numerous visits to the Chiropractor may be suggested to stabilize the spine until the body knows how to hold the spine in an aligned position by itself. The longer your backbone has been breaking down (which is usually much sooner than the first onset of symptoms), the longer it will typically take to attain a state. If I feel better, why do I have to come back? You don't. Ongoing tests are advised if you would like to allow for optimum recovery to minimize recurrence and optimize function. Many believe significant relief in distress following the first couple of visits. Our objective isn't merely to offer relief but to create a situation where the spinal stresses that resulted in the problem are lessened, stabilized and you no more have to be adjusted regularly. This level of care may involve substantial work on your part. Though we can't always attain this status with a patient, it is this scenario that offers optimal long-term benefit. Symptoms are the last to appear and the first to depart (think of how cancer or heart attacks happen). A symptom-free state doesn't necessarily mean healing has finished or that you're on your optimal alignment. As soon as your body starts to show signs that it is stabilizing and holding alignment for an elongated time period, recommended time between visits will be invigorated. 8:30am to 11:30am and 3:00pm to 6:00pm. Proudly serving the Metro-East and greater St. Louis region including: Edwardsville, Glen Carbon, Maryville, Troy, Hamel, Highland, Belleville, Collinsville, Alton, O’Fallon, Godfrey in Illinois and greater St. Louis, Missouri. Copyright text 2019 by Upper Cervical Glen Carbon. Fill out the form bellow and we'll get back to you ASAP with all the information necessary. Thank You.